Waters Edge provides all the basic amenities that you would expect and more; we want you to make the most of your time with us during your Lake District getaway. All of our amenities are easily accessible in our spacious facilities building. There’s no lack of facilities at Waters Edge Caravan Park, the site has a very comfortable lounge bar and a separate pool room and a TV lounge upstairs. There is also an outdoor patio area adjacent to the bar for those lazy summer afternoons or Friday & Saturday evenings to enjoy the ambience of the English Lake District. Our bar area offers the perfect location for you to have a drink and relax outside and take in the scenery. The utilities at Waters Edge are situated in a delightful whitewashed building and they are of the highest quality with cleanliness being our main priority. 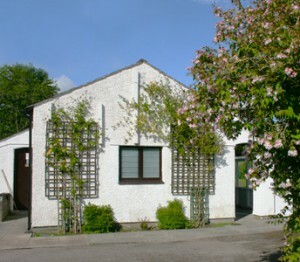 The utilities are heated, roomy and well equipped, with separate showers and private washing cubicles to make your Lake District holiday as stress-free and personal as can be. We have a seperate small laundry with a washing machine and drier with an ironing board and iron available upon request. *Our bar is open throughout the season, Friday & Saturday nights and Bank Holidays weekends. If the bar is an essential for your getaway, but you’re enquiring about a midweek break, please call our friendly team on 015395 67708 to discuss your booking further. Reception is open daily 9am until 6pm. Wifi is available at an additional cost to your caravan pitch. 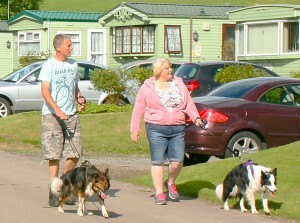 We are happy to welcome friendly, quiet and well-behaved dogs to our caravan park because the Lake District provides the perfect backdrop for walks with all members of your household. However, we do advise that the rules regarding cleanliness and cleaning up after your dog are absolutely paramount. 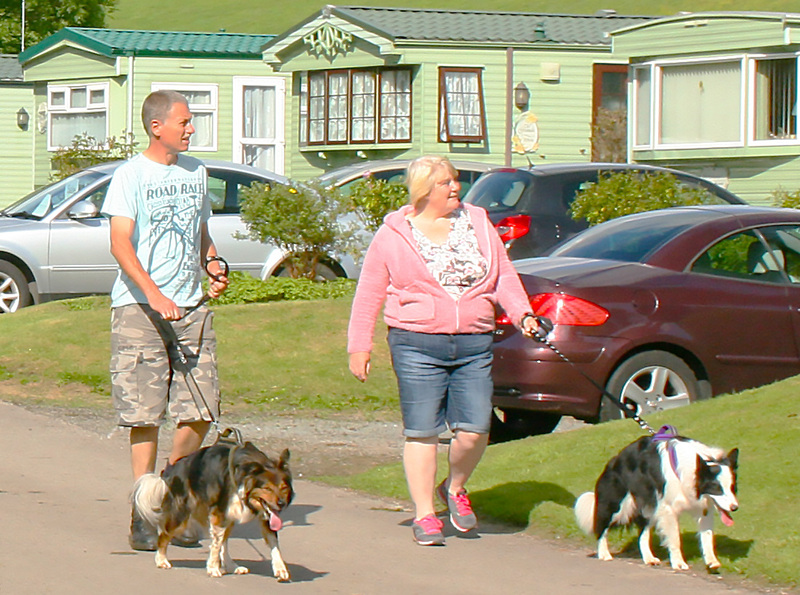 For the benefit of your caravan neighbours, it is compulsory that dogs are to be kept on a lead at all times whilst on-site. Set of the edge of the beautiful English Lake District; Waters Edge caravan park offers beautiful views, excellent value and unrivalled atmosphere. Our friendly staff, well-kept caravan site and fantastic facilities will help make your next Lake District getaway that little bit more special. From the M6 Junction 36 (South Lake District) follow the signs for Kirkby Lonsdale A65, 300 metres. At the next roundabout follow the signs for Crooklands/Endmoor. The park entrance is approximately 1 mile on the right hand side. Copyright © Waters Edge Caravan Park 2019. All Rights Reserved.